This recipe is pretty easy but also somewhat unique, a twist on familiar flavors. You can try it with different seasonings as well; I suggest some seriously tasty variations below. I actually just tried the cumin, chili powder, and lemon zest (I had lime in mind but didn’t have any) one today and loved it! The zest and seasoning together formed a semi-crispy coating on the fries. It was very satisfying. These “fries” are great as a side. One other thing: It is the last day of my giveaway, so make sure you enter to win the Well Fed or Well Fed 2 cookbook if you haven’t yet! The details and link to enter are in the previous post, but I will paste the link here as well. Click here to enter the giveaway! 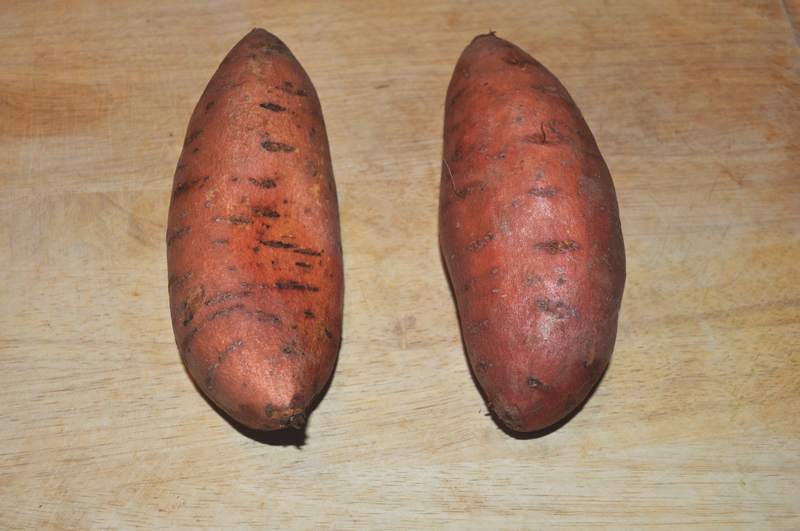 First, you’ll need 2 medium sized sweet potatoes. If desired, peel them. Then cut them into thin fry-like shapes. 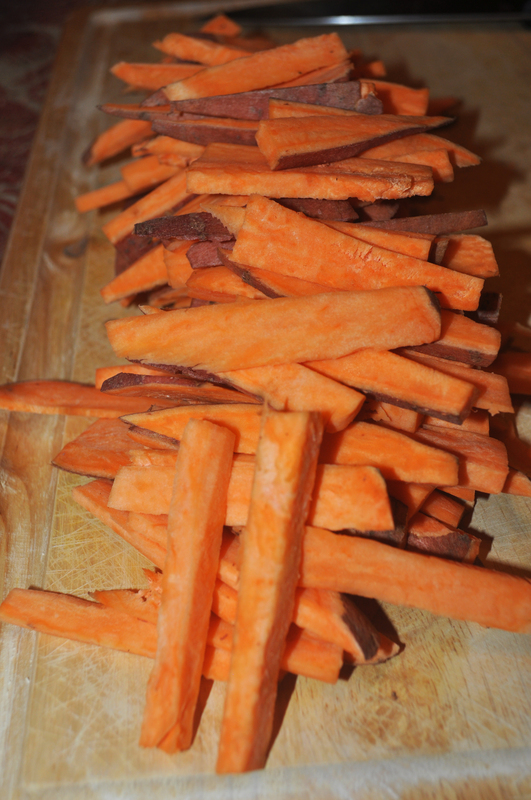 I cut each sweet potato in half first and then cut the fries from the shorter halves. They don’t need to be completely uniform; mine vary in shape. Just make them somewhat similar in thickness/volume so they all get done at about the same time. 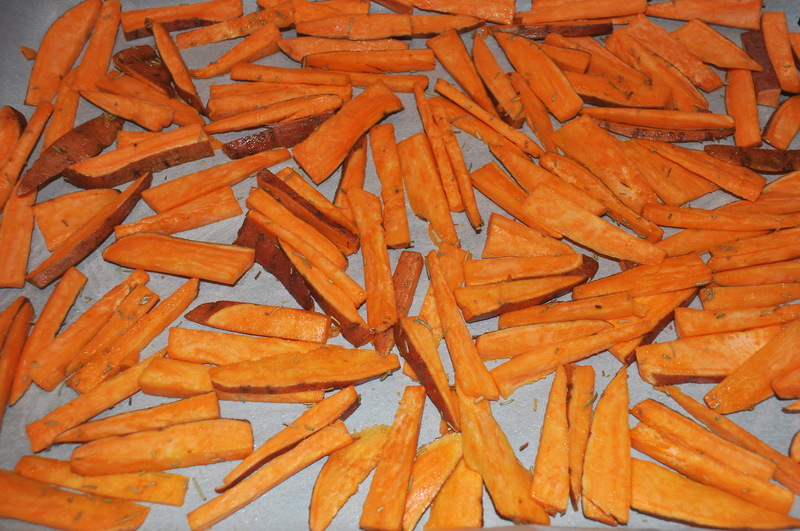 Next, on a baking sheet, coat the fries with oil and add garlic powder, rosemary, salt, and pepper. Arrange the fries in one layer on the pan. I like to use parchment paper, but that is optional. Bake at 420 degrees for 20-25 minutes. You can also broil them (without parchment paper, of course) for a few more minutes at the end to get them a little crispy on the outside, which is really good too. Once soft all the way through, remove from oven and adjust seasoning to taste if needed. Yum! Enjoy, and leave a comment about the flavor(s) you try and which one is your favorite! Preheat oven to 420. 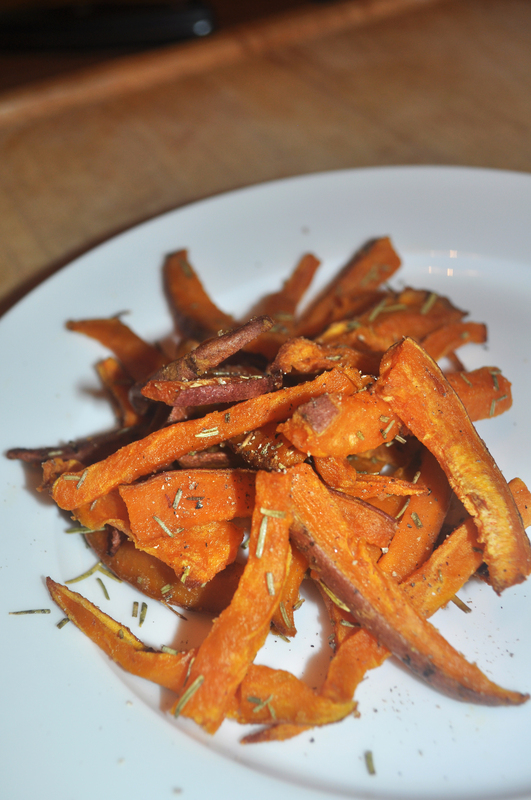 Peel the sweet potatoes if you desire. Then cut them into thin fry-like shapes. Grease a baking sheet and place the fries on it. Coat them with oil and season with garlic powder, rosemary, salt, and pepper. Spread them out in one layer on the pan. Bake at 420 for 20-25 minutes. If you would like the outsides to be a little crispy, turn on the broiler for a few extra minutes at the end. Once soft all the way through, remove from the oven and adjust seasoning to taste. Serve.